Tyres: you get what you pay for. Looks like an old tyre with all that surface cracking between the treads right? This tyre is barely over a year old. I went for the £33 “economy” option after a puncture and received a “Nereus Sailfish.” Surprisingly it actually grips better than the continental I had on before but those were low roll resistance eco things. 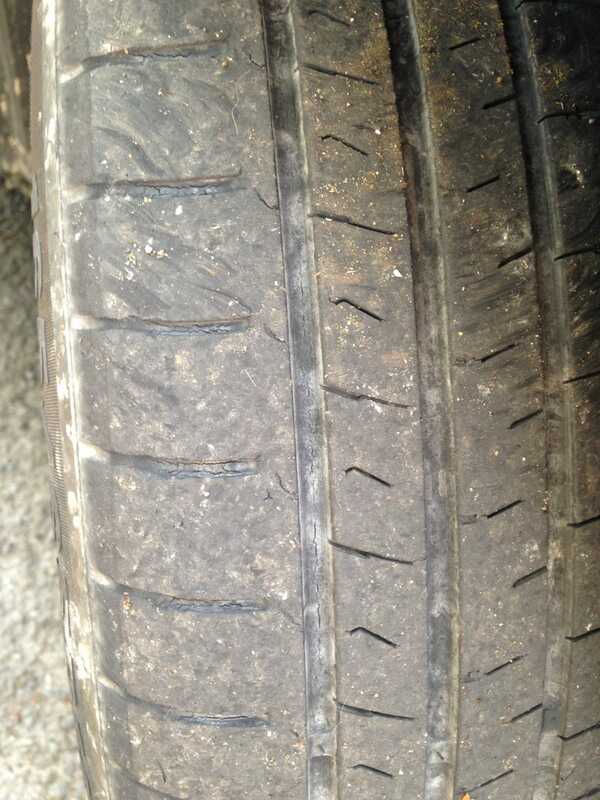 I currently have 3 different brands of tyre on this car, the two rears are 7 years old. All have totally different tread levels (all legal though). Don’t be like me.